Frequently Asked Questions About Personal Injury Claims – Part 2 | Craven, Hoover, & Blazek P.C. In last week’s blog, we discussed some common personal injury questions concerning valid claims, compensation, cost of attorney, and more. Since there are many frequently asked questions about personal injury law, which we will discuss some more in this week’s blog! Continue reading for answers to common questions regarding personal injuries, accidents, and claims. Personal injuries can greatly alter a person’s quality of life. For this reason, it is only just for victims of wrongful injuries to receive the full and fair amount of compensation to pay for medical bills, expenses, and more. In order to protect your rights and recover the necessary funds needed to get your life on track, you must seek out professional legal counsel. 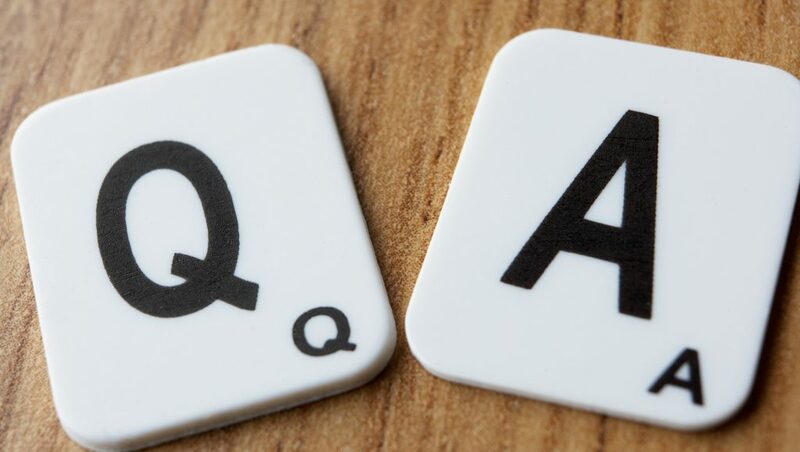 Below are some additional frequently asked personal injury questions and answers that will hopefully address some of your concerns as a recent victim of a serious injury or accident. This is a very common question since many victims of personal injuries face long recovery times. Pursuing a claim against a negligent party is often the last thing a family is concerned about right after an accident. But as soon as those expenses start piling up, and valuable time at work is lost, victims start thinking about their rights. At this point, many want to know if it’s too late or if they’ve waited too long to file a claim. It is important to check with your licensed accident attorney since time limits for personal injury cases vary from state to state. However, in Indiana, victims or families of victims have two years from the date of the accident to legally file a claim against an opposing party or insurance company. This time limit is called the Statute of Limitations. This is just one reason why you should take fast legal action after being seriously injured in an accident. What Should I Say to Insurance Adjusters? What Should I Sign? It can be very confusing knowing what to say or sign after an accident. Anything said or signed can be used against a victim in their case. Insurance adjusters are specially trained to get certain information from claimants or clients, and will in turn use this information as a means to evade liability for a victims’ damages. The best advice for personal injury victims is to not say or sign anything without consulting a licensed accident attorney first. Waivers, documents, and interviews can entail confusing jargon and mislead victims into accepting liability. An attorney can read through all documents and be present for interviews and questioning to ensure their clients are protected. If you must sign something or answer questions, be sure to read through every line thoroughly and do not give away too much information; and NEVER admit fault under any circumstances. What are My Rights and How Can I Protect Them? •	You have the right to ask a police officer to file a police report. •	You have the right to take pictures at the scene of the accident; but only of your personal property, damages, and injuries. •	You have the right to legal counsel. •	You have the right to collect compensation for your damages and losses if wrongfully injured. To protect your rights, you must learn about your case, learn about your rights, and trust a licensed personal injury lawyer to navigate your claim to recover the full and fair compensation you deserve. They have the knowledge, experience, and resources to carefully and compassionately protect your rights and the rights of your loved ones through the entire claim process, start to finish. Call The Law Office of Craven, Hoover, and Blazek P.C. at 317-881-2700 for personal injury claims in Indianapolis, Indiana. Attorneys, Daniel Craven, Ralph Hoover, and Keith Blazek are seasoned accident lawyers with extensive trial and litigation experience. Our firm respects all clients and their loved ones, and never collects lawyer fees unless we win your settlement. We also provide free initial consultations to discuss your case and assess your eligibility for remuneration. Call 317-881-2700 to learn your rights after suffering a serious injury in Indiana. This entry was posted in Personal Injury and tagged file a personal injury claim, personal injury attorney, personal injury cases, personal injury claims, personal injury faqs, personal injury law, personal injury lawyer Indianapolis, personal injury questions. Bookmark the permalink.